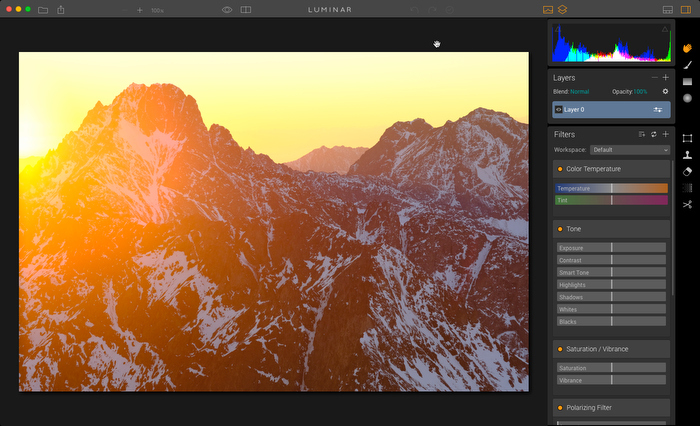 One year ago this month, Macphun released a brand new Mac photo editing app called Luminar. 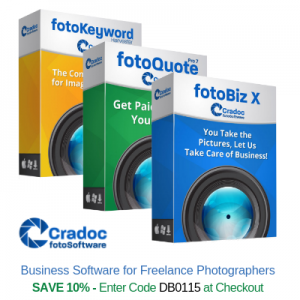 It was designed to offer photographers the powerful creative tools they need and the simplicity they desire from their software. And although the program functions as a Lightroom & Photoshop plugin, the standalone version gave photographers a viable photo editing alternative to the complex, and often frustrating subscription based model that Adobe software has burdened us with. During the next few months, Macphun, who just changed their name to SKYLUM Software, (“The SKY is the limit” plus part of the word “LUMinosity”), put out a handful of updates and performance upgrades. They also spent a lot of time listening to peoples’ concerns and wish lists, and now they’re about to release Luminar 2018, which offers significant performance enhancements, new filters and a Windows version. Today I thought I’d review the program, show you what’s new, and let you know what’s been improved in the new version. 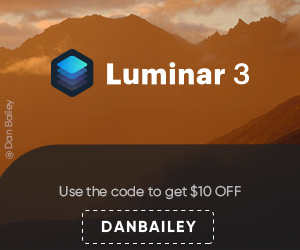 Note: The Preorder period for Luminar 2018 has now ended, so the bundle deals are gone, but you can still save $10 on the program by ordering here and using discount code DANBAILEY. 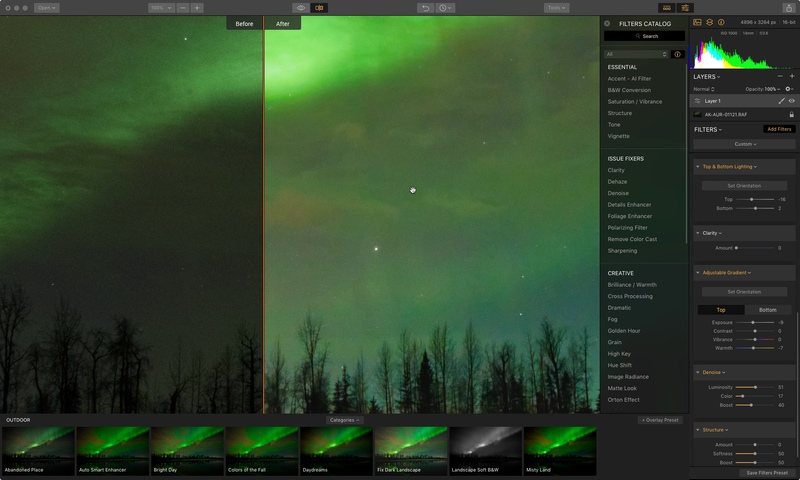 Luminar is based on a very simple, yet highly customizable interface, which allows you to edit in a way that matches your own preferred workflow. You get a main image window, which can be resized to full screen, a Tool Panel on the right and a Preset Panel at the bottom. Both the Tool and Preset panels can be collapsed so you can view the image in the entire window. One of the best features about Luminar is that you can easily customize your workspace. The program gives you a number of possible starting points: Quick and Awesome, Essentials, Aerial Photography, Black and White, Landscape, Portraits and Street, each of which gives you a selection of tools and filters that are generally applicable to working with that type of photo. For example, Essentials gives you Color Temperature, Accent- AI Filter, Tone controls, Saturation/Vibrance, Polarizing Filter and Clarity. From there, you can add any of the other 40+ tools and creative filters to your workspace, and if you tend to use the same tools in your workflow, you can save that combination as a custom workspace. The tools in Luminar 2018 have all been optimized for both speed and performance, and there are a number of new tools in the collection. 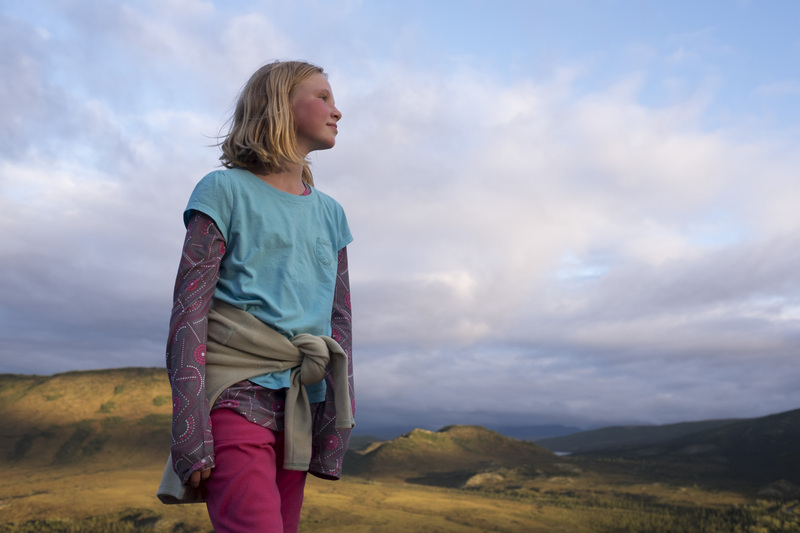 One noticeable addition is the new RAW Develop toolset, which gives you all the basics for adjusting White Balance, Exposure and Clarity, in addition to a Lens tab for correcting for Distortion, Chromatic Aberation and Lens Vignetting, and a Transform tab. In addition, color handling, sharpening and noise reduction have all been optimized so you get very high quality RAW Conversions. One interesting note, if you’re processing JPEGs, the RAW Develop panel is simply called Develop, and you get the same tools. That’s a nice touch. The Accent – AI Filter, which does an amazing job of giving you a “Quick Fix” with a single slider. I’m amazed how well the slider works, and I find myself using it all the time. The lead off photo on top is nothing more than a quick slide of the AI Filter. 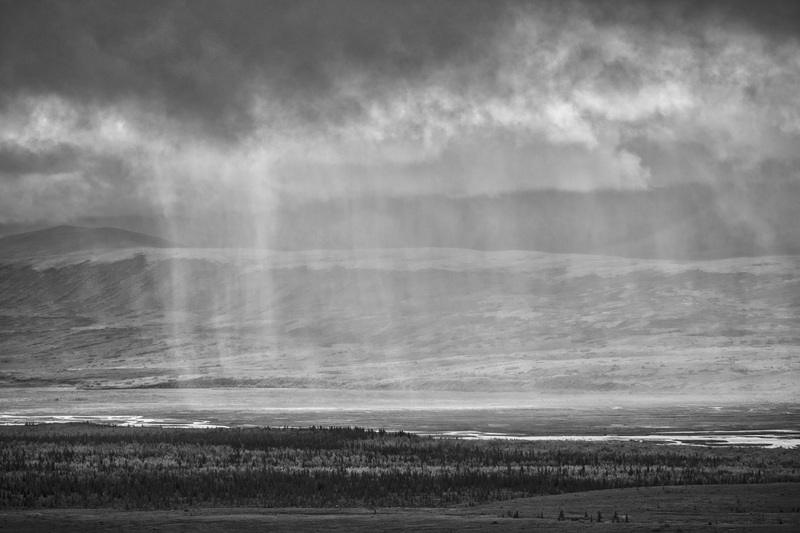 Dodge & Burn lets you selectively refine the light and shadows on your subject. Just as in the darkroom, you choose a brush size, “paint” whichever part of your subject you want and then adjust the lighting parameters and amount. Hue Shift is another new filter that lets you eliminate wanted color tints or roll it all the way for dramatic, stylistic shifts. Brilliance/Warmth adds richness and warmth to your image. Dial up to make your photos really pop, or dial it back to tone down your image and create a more subtle look. The Polarizing Filter adds contrast and increased depth to blue skies, just as if you were using the real thing on your lens. Again. I’m quite impressed at how smart this filter is. I’ve also used it to deepen shadows on distant mountain peaks to give the shot more depth. 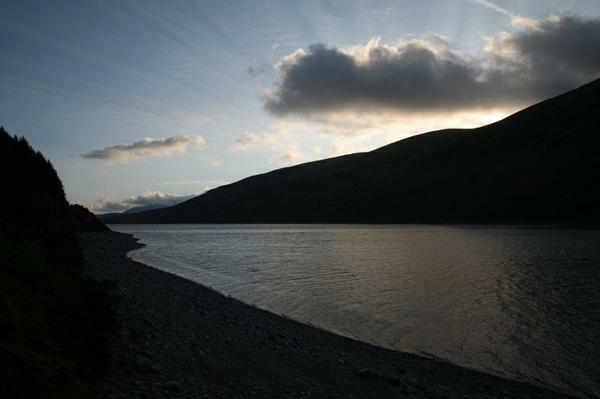 Below is an example of a straight image, a processed image, and a processed image using the Polarizing Filter. Matte Filter Lets you quickly tone down your photo and give it a vintage look. Think portraits, wedding photos, street photography and any other subject where you want add a more muted style to your images. LUT Mapping is another new tool that’s been added to Luminar 2018. This means that Luminar now supports Look Up Tables and brings pro-quality color grading for emulating classic film styles and giving your photos a cinematic look.You can download free LUT files from numerous sites around the web. 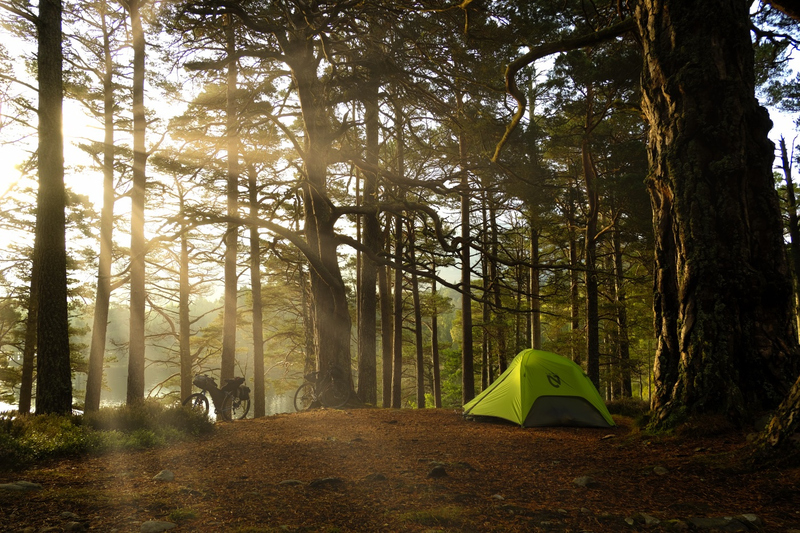 The New Sun Rays filter lets you add volumetric lighting to your image and create beams of light in your image. You can use the X and Y Axis controls to fine tune exactly where your sun appears in the frame, and you can control the intensity and look of the God beams. Ok, before you roll your eyes, I’ll be the first one to admit that Sun Rays is not going to the filter choice for many (most?) serious photographers. It’s essentially cheating and adding a fake sun to your image. 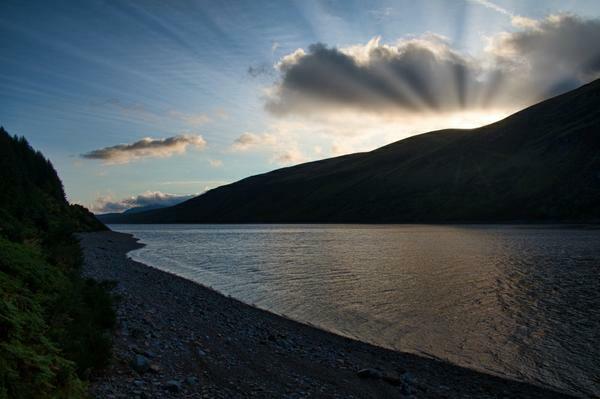 However, when used with discretion, you can use it to enhance images that already contain a hard sun in the frame. Plus, it’s kind of fun to see what it does to your image, especially when you drag the X and Y sliders and watch the sun move through your frame with a surprising level of realism. Either way, it’s an intriguing effect. Here are a couple of examples of how I’ve used the Sun Rays Filter. 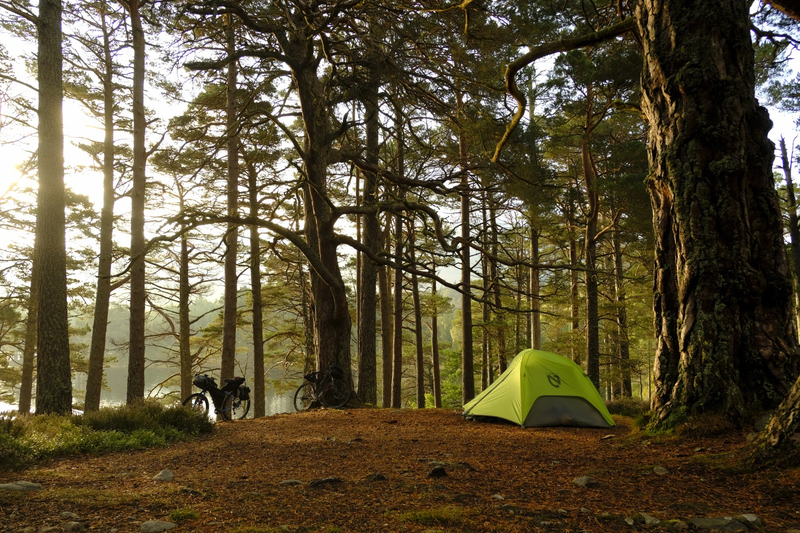 You won’t use it very often, but with the right image, it can be a highly creative tool. And c’mon, we’ve already lost the battle that photography has to be 100% Real. HDR? I rest my case. Why is this any different? As I said, it’s fun, and it’s an impressive testament to how good the Luminar engineers’ coding skills are. If they can do this, then that says a lot about the quality of their “Serious Filters,” Like RAW Develop. All of the Filters and tools in Luminar are highly adjustable and they offer non destructive editing. They’re also very well thought out and well executed. Each tool does one of three things: It either solves a very specific problem you’re likely to face with certain types of imagery, whether it has to do with tone, color, sharpness, noise, it gives you an easy way to quickly adjust and refine your photos or it offers your a highly creative effects you can add to your photos in order to give them the style and look you’re going for. In addition to all of the powerful, professional quality image editing tools, Luminar comes with a selection of highly creative and well-designed presets. This give you the option of working with an extremely easy “One-Click” workflow, where you can simply choose a preset and then dial it anywhere from 0-100 and fine tune the image to your liking. Having never been a preset guy before, I love using the Luminar presets. 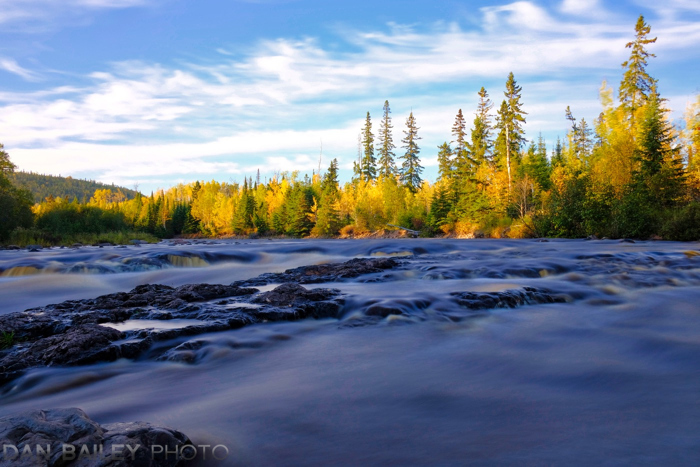 Not only do they make for a very fast photo editing workflow, they actually inspire my creativity in a big way. With a variety of different and unique looks, I often find myself opening an image, quickly browsing the choices and finding one that takes the image in a creative direction based on my ideas in that particular moment. Sometimes it’s a direction I night not have thought of, but that’s the beauty of it. 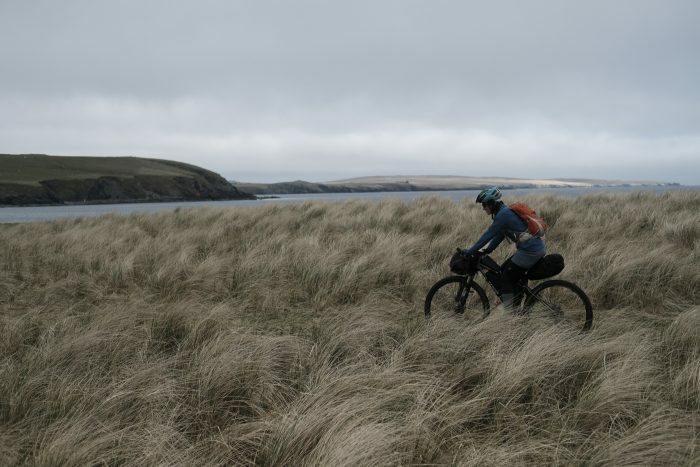 Sometimes the best idea is the one that comes from spontaneous creative decisions, as opposed to agonizing over your adjustments and endlessly sliding sliders and second guessing yourself. With the nice diversity of the Luminar presets, I like to pick one that inspires me in the moment, dial it to my liking and call it good. Open, click, slide, done. That’s liberation. That’s efficiency. That’s trusting your own creative impulses. Luminar comes with a selection of presets organized by category: Basic, Outdoor, Street, Portrait, Travel, Dramatic and Aerial, and you can download additional presets from the SKLYUM website. You can even create and share your own presets. If you come up with a really cool look through a combination of tools and settings, you can hit the Create Preset… menu item and save it as a user preset. 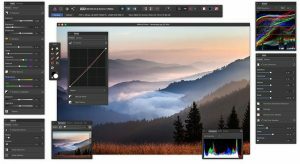 In addition to the tools and presets, Luminar 2018 comes with an impressive and full-featured selection of professional editing tools, including Layers, Blending Modes, History Panel with Unlimited Undo, Curves, Adobe Plugin Support, Opacity, and Native File Format, which means you can save all your edits and open later with full non-destructive editing. The Luminar Export Panel lets you save your image to your desired folder, you can export to Mail, Messages, Twitter, Facebook, Flickr, SmugMug or 500px, or you can Open In and send your image to any of the other Macphun/SKYLUM apps like Aurora HDR, Tonality CK or Snapheal CK or to any other Image editing software on your system. In short, Luminar 2018 has just about everything you would need for all of your image editing needs from start to finish, no matter if you want to make quick changes that help your image pop, or make complex, professional edits to your photography. It also has Batch Processing, you can save/export to JPEG, PNG, GIF, TIFF, PSD, JPEG 2000, PDF, and you can choose from three color spaces: sRGB, Adobe RGB and ProPhoto RGB. Much of Luminar 2018 has been re-written from the ground up so that they could optimize all of the tools and make the program run faster. For starters, it has a vastly improved RAW engine. Along with the new RAW Develop panel, RAW images now open up to 200% faster than they did in previous version of Luminar. To give you an example, on my 7-year old Mid 2010 Mac Pro with 24MB RAM and a Solid State Hard Drive, Luminar Neptune, which was the most recent version, would take about 50 seconds to open a RAW file from my Fujifilm X-T2. It takes just over 20 seconds in Luminar 2018. While at PhotoPlus Expo, I saw the guys at the booth open RAW files on brand new MacBook Pros laptops and it barely took a few seconds. All of the tools, like Crop, Erase and Transform function much more quickly and and they’ve been refined for increased image quality performance. 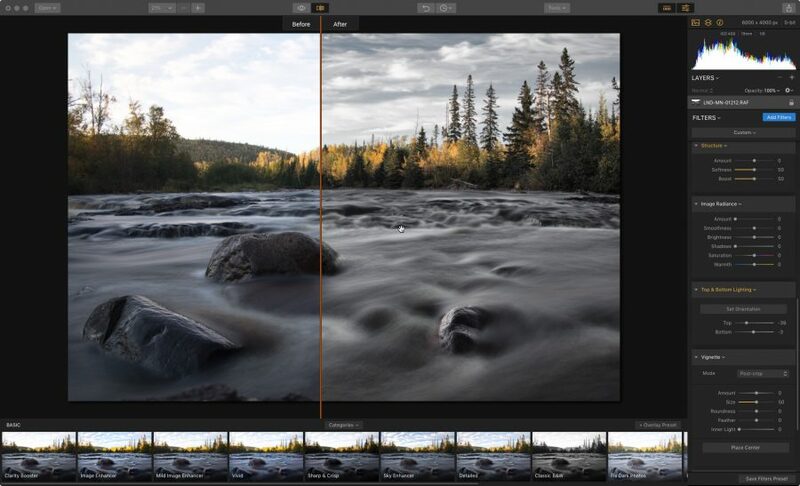 Advanced noise reduction and sharpening algorithms produce better quality photos and new masking options let you blend filter and layers for even more precise control. 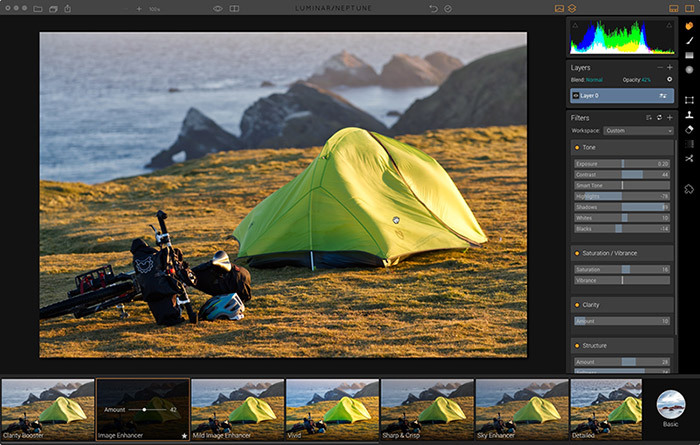 Compared to the previous version, Luminar 2018 contains 24 new features. 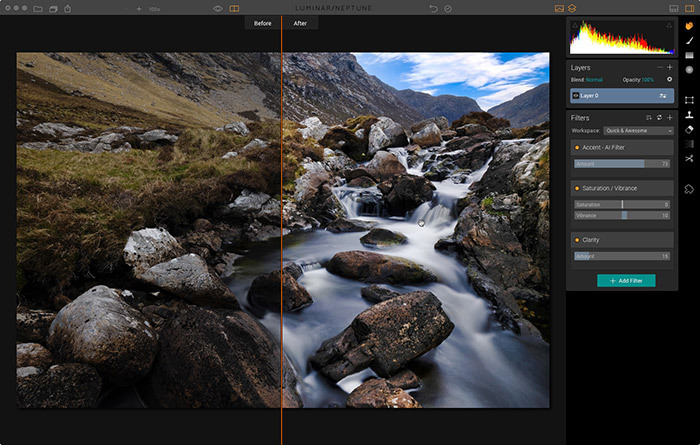 If you look at the program side by side with Lightroom, Luminar 2018 has well over 30 tools and function that the new Lightroom CC Cloud version doesn’t have. I’ve been using Luminar for a year now, ever since the first version, and I can attest that Luminar 2018 is WAY faster, more comprehensive and more user friendly. The user interface has a more refined, professional look, and yet it still retains the very easy and simple form factor which has made Luminar so appealing to a large number of photographers. As a RAW Processor, Luminar 2018 does an exceptional job, especially when it comes to demosaicing the Fuji X-Trans sensor RAW files. As we all know Lightroom isn’t the best Fuji RAW converter. In my tests, Luminar 2018 renders find details with sharpness that compares WAY closer to Iridient Developer than Lightroom, and Iridient is definitely one of the best, if not one of the best RAW converters out there. Luminar 2018 supports RAW files from just about every camera on the market, including the new Nikon D850, and the Fujifilm GFX. In fact, the Head of Product Development is a Fuji X-T2 user and when I met with the team in person last month at PhotoPlus, both he and SKYLUM’s CEO, confirmed that they’re committed to providing full support for Fujifilm X-Trans sensor cameras and the GFX. This was welcome news, since Adobe has left many Fuji users disappointed and frustrated by their unimpressive support for the X Series cameras, and also for Capture One Pro users, since Phase One has said that they won’t support the GFX. Luminar will open PSD files and it will also open TIFF files that have been saved with multiple layers in Photoshop. However, it won’t save the layers; instead the image will open as a single layer that combines the layers as you had previously set in Photoshop. This is hardly a deal breaker, and in fact, Photoshop won’t even open Luminar’s equivalent of a PSD file, with has the .lmnr extension. So there. The Luminar developers are currently working on a Digital Assent Management Catalog feature they plan to add to Luminar in early 2018. The timing of this couldn’t be better, since so many Lightroom users find themselves frustrated by Adobe’s recent moves. These are the only glances we have of their new catalog system, but it appears to be a very good start. 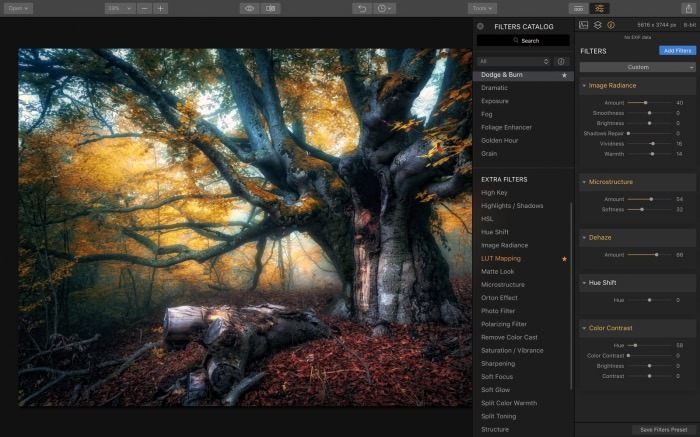 Looking at the interface, they support star ratings, color label and even the “pick & flag” system that Lightroom uses, which most catalog software doesn’t support. The system also appears to run on a very straightforward and user friendly model, with a simple folder structure, grid and full size window option. 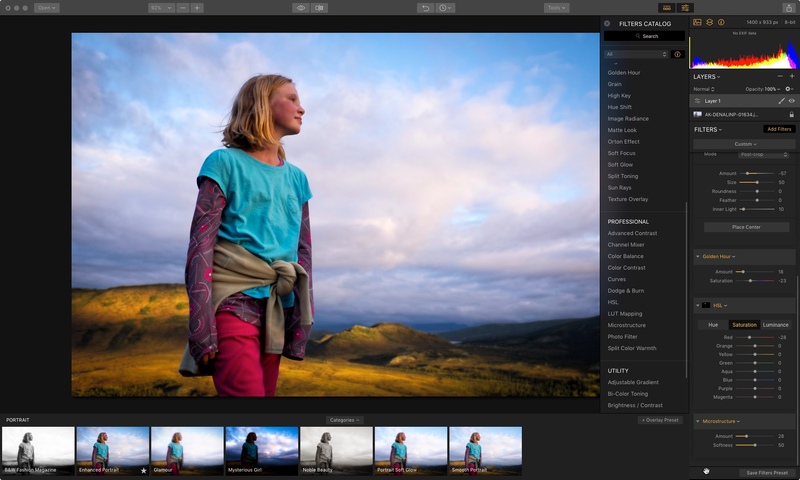 No word yet on things like keywording and metadata or export/share options, but we do know that it will works seamlessly with the Luminar Develop tools and with their other photo editing apps like Aurora HDR. Also, no word yet on when this will come out, but I think they’re hoping to get it out before the middle of 20118, if not sooner. They’ve also said that if you preorder Luminar 2018, you’ll get the catalog module for free when it comes out. For how well they’ve done with Luminar in the past year, I’m banking on it being a great system and I can’t wait to see it. I am so impressed with how Luminar 2018 looks and functions, and I’m excited about all the changes, tweaks and refinements they’ve made to the program. I’ve been using the new 2018 version exclusively for nearly a month now and it seems like a night and day difference over the previous version. As good as it is, Luminar isn’t quite perfect. As of right now it doesn’t do text. Then again, neither do Lightroom or Capture One, so is that really a thing? Probably not. It also lacks a fast, workable watermark function. This is a big one for me. Yes, it’s totally possible to embed a logo or watermark on your image using Layers, but they need to have a fast solution like Lightroom. This would really help speed up the workflow. I brought this to their attention recently, and the response I got was “I know and agree. We are already working in this direction.” So, yea… expect to see this feature added soon. Again, the Luminar team is very open to suggestion and they’re committed to making Luminar a full-featured professional quality photography workflow and editing solution. I wholeheartedly agree with that sentiment. Having used the software extensively, I think it’s an ideal solution for just about any kind of photographer; it’s fun, easy to use, it offers extremely flexible workspace options that can be customized to your own workflow style or mood, or you can even set it up to give you multiple workspaces for editing different types of images or if you just like to vary your editing approach. 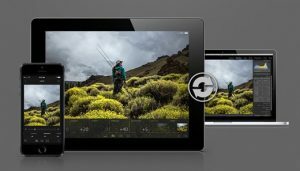 SKYLUM has already won numerous awards for Luminar and they have demonstrated a commitment to giving photographers the best program they can. They keep tweaking and streamlining the software and making it perform better with each update. And unlike some software, which requires the fastest computer and most up-to-date OS, Luminar works on a wide variety of machines and operating systems. Like I said, I’m running it on a 7-year old Mac on OS Sierra, and their specs say that it will run all the way back to Mac OS Yosemite. And, you can install Luminar on up to 5 computers, even if you run both Mac and PC with a single activation code. This is Huge. Adobe only allows 2. Photography should be fun, and therefore photo editing should be fun. It’s doesn’t need to be complicated and it doesn’t need to be overly time consuming, if you don’t want it to be. Luminar gives you that. 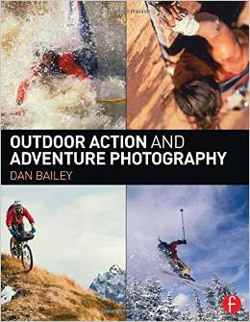 It’s fun, easy to use, efficient and powerful enough to do just about anything you need or want with your photos. I’ve enjoyed using it during the past year, and I’m even more excited about this latest version. The bottom line is that I love the images that I’ve processed with Luminar and I love the efficiency it offers, since I don’t want to spend tons of time at my computer edging photos. No matter what kind of photography you do, I can highly recommend Luminar and I think that once you try it out and get a feel for how it works, you’ll like it as much as I do. And remember, it works as a standalone or as a plugin for Photoshop or Lightroom. If you have question about the program, you can read their FAQ page here. 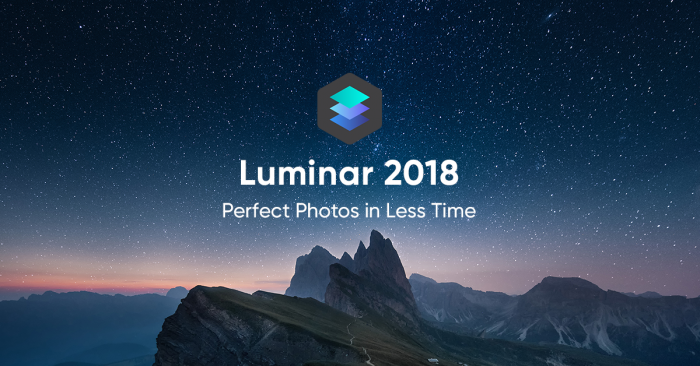 Luminar 2018 has now been released. You can order the program here, and remember, if you use discount code DANBAILEY, you can get a special $10 savings on the software. Just gone with Luminar, working through the tutorials etc, got to say I am impressed! Thanks for your continued hard work in bring us mere mortals great information, help and advice. They’re also killing perpetual license versions, which makes the standalone version of Lightroom 6 a dead-end with no future upgrades. From now on, if you want Adobe, it’s subscription only. This move has confused many photographers and left them wondering how to proceed. Some people just don’t like the subscription model, and others are just wary/tired of Adobe. After all, Adobe has been the target of a number of data breaches in recent years. I for one am not excited about the prospect of having them safeguard my life’s work in their servers. Although Lightroom is a very powerful program that offers a comprehensive workflow for many shooters, the truth is that Adobe is no longer the only player in town. 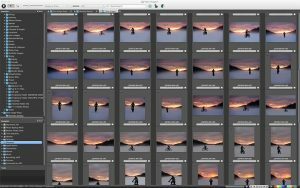 A few years ago, Adobe was king, but there are a lot of other software solutions out there for photographers that offer people viable workflow solutions. 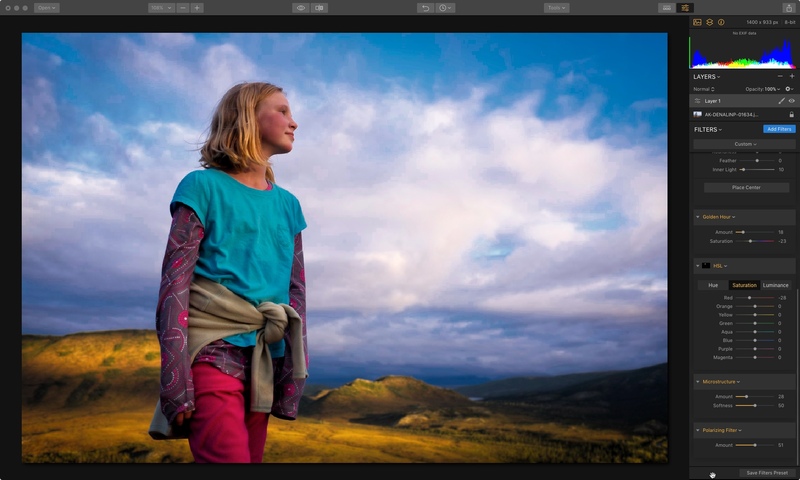 If you’re considering leaving Adobe, here are four viable alternatives to Lightroom that can offer you a professional quality workflow, high quality creative tools and asset management for your image catalog. 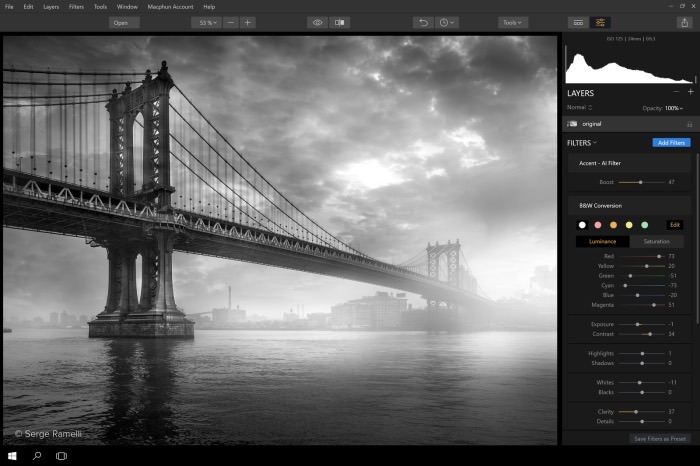 Capture One Pro is one of the most full featured alternatives to Lightroom and Photoshop. With extremely powerful processing tools, it handles RAW files from just about any camera system, with improved support for Fuji X Trans files, and it offers a totally customizable workflow. Capture One also includes the longstanding Media Pro asset management system for archiving, sorting and searching your photo library. With C1, you can choose to run a master catalog, or you can break down each job, assignment or shoot into “sessions,” and create a separate catalog for that particular job. You can also buy Media Pro as a standalone application if you don’t need the full Capture One Processing tools. 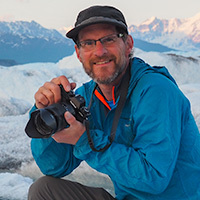 The main downside to Capture One is that it can have a steep learning curve, but they have tons of great tutorials and do a great job teaching you how to use the program. If I were starting from scratch as a serious pro photographer today, I’d definitely consider Capture One. I’ve used it in the past and it’s a great program. If you just need a management/catalog system, then definitely try out Media Pro. Luminar is a relatively new image editing program that offers a wide range of features, tools, and really fun presets. I’ve never been preset guy before, but I really like the ease and look of the Luminar presets, and I love how the program functions. You can use Luminar as a standalone app, or you can use it as a Lightroom Plugin. You can use it in “super easy mode” by simply choosing and dialing down the presets, you can make use of the huge array of tools palettes, or you can combine presets with specific tools to easily and quickly fine tune your images. Luminar is a powerful program, it plays nice with all camera formats, even the Fuji X Trans RAW files, and they’re constantly upgrading the program with new features and performance tweaks. And, (drumroll…) Luminar will be including a brand new, full service asset management system into the program in 2018. This is a huge deal, and with their Adobe announcements this week, the Luminar folks are well aware that people are looking at alternatives. They’re working hard to get this rolling and have posted a few screenshots and a short teaser video to show you what it looks like. I’ve been using Luminar for almost a year now and I love it. I’m not the only one – it’s won numerous Apple awards for design and great functionality. 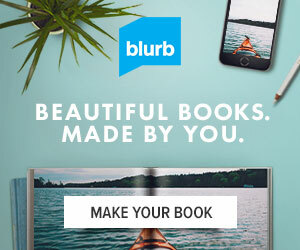 If their catalog function is as good as their image editing functions, this could have real promise. I plan on taking a serious look at the demos when I go to Photo Plus Expo next week. I’ll let you know what I find out. The Windows version of Luminar is coming very soon. EDIT: October 31 – At PhotoPlus last week, I met with the CEO and two of the head product developers from Luminar and they assured me that they’re committed to offering full X-Trans RAW support for Fujifilm users. In fact, one of them is even a Fuji X-T2 user! Check out the Luminar Mac demo here and see what you think. I’m in love with Photo Mechanic and have been from the day I went digital on April 12, 2006. 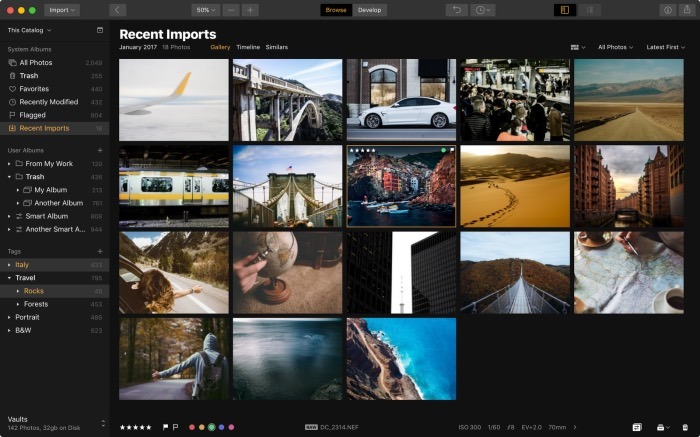 Designed as a wicked fast solution for culling through large batches of photos and adding metadata, Photo Mechanic browses through a giant folder of images faster than anything else out there. Have a thousand photos to go through? No problem. 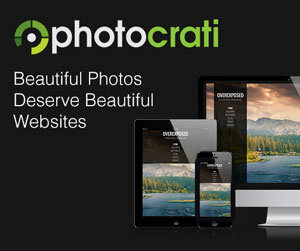 Photo Mechanic will let you edit, delete, tag, rate, caption, keyword, export, save, email & share like a champ. It’s been a vital part of my workflow for many years and I can’t see every giving it up. Photo Mechanic does’t have any image processing capabilities, but you can the program with other apps in order to complete your workflow. I use it in conjunction with both Lightroom and Luminar and I’ve used it with Capture One as well. Photo Mechanic and Luminar or Affinity would give you a full workflow solution. Technically, it’s not really a catalog program either, but as long as you store your images in an efficient, easily browsable folder hierarchy, you can use Photo Mechanic to quickly browse through your folders and use the array of search and sort tools to locate specific photos on your computer. Five years in the making, Affinity Photo is a program for Mac and Windows created by Serif. It was built from the ground up to be a professional alternative to Photoshop, and based on the many 5-star ratings and the fact that it was chosen as the Best Mac App of 2015, it seems that Serif has done an excellent job reaching that goal. Not only does Affinity have a full set of powerful processing tools, it has a very intuitive and customizable interface, very stable and streamlined design, cross-platform compatibility and the ability to work in any color space. With hundreds of features, including layers, effects, live blend modes, sophisticated selection tools, and extensive retouching tools, Affinity Photo offers everything you need for full-service image editing and processing for only $49. And if that’s not enough, Serif also has an iPad version of Affinity that provides image editing, functionality and performance like you’ve never seen before on a mobile device. I’ve never seen anything like this. It looks incredible. The iPad version is so powerful, you should just read here and see everything it does. So, as I’m sitting here writing this, I’m working through my own workflow decisions. My idea is that I’ll still use Photo Mechanic for browsing and Luminar for quick and fun image processing, and possibly use Affinity for more complex stuff, and for mobile editing. First step is to try out Affinity and see how it works. If I like what I see, I can start to learn that program so I can transition away from Photoshop. 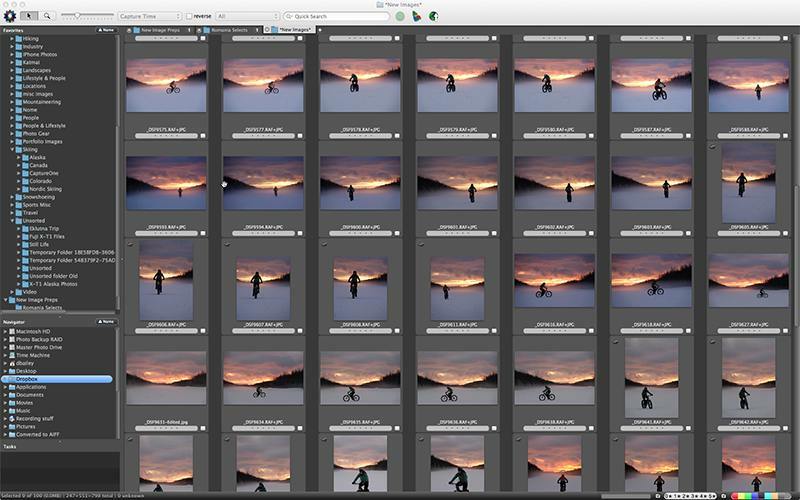 Right now, I’ve migrating my Lightroom catalog to Capture One to see how it works. Having used the program before, it’s a familiar look and the catalog browser has a pretty intuitive interface. That said, I’m really excited to see Luminar’s new catalog system. If it’s as good as I’m hoping it is, that could be the one to replace Lightroom for me. Then, with PM for initial culling and browsing, Capture One or Luminar for the catalog and/or processing, and possibly Affinity for the Photoshop type work, I’d be able to cut my Adobe subscription and say goodbye to Lightroom and Photoshop. I know I’d miss Photoshop. I’ve been using it for over 20 years, but the world marches on, right? Things change. I have to go with what works best for me and my own style and workflow, and sometimes that means shaking things up. Same thing I am. 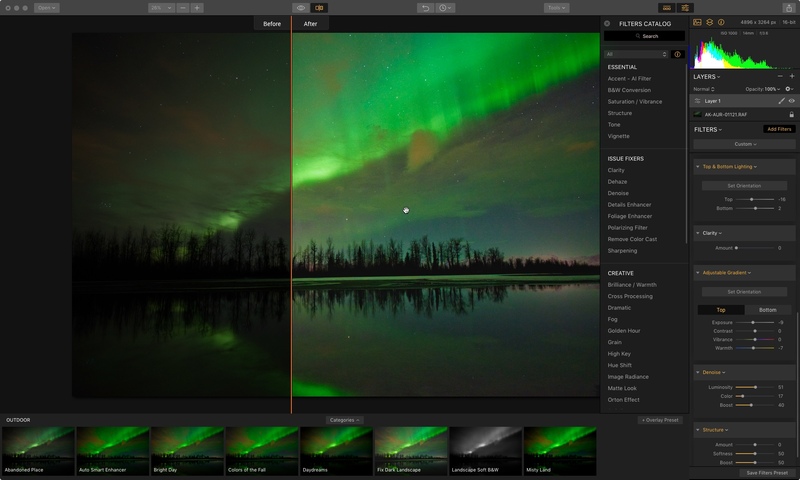 Download the demo versions of Capture One or Media Pro, Luminar, Photo Mechanic and Affinity and see which program you like best and that fits your style. Hopefully this post has given you some ideas as well and will help you start working through your own process. I’ll keep writing more about this topic in the coming weeks, so stay tuned. Click here to subscribe to this blog and get even more free insight like this. ON1 PHOTO RAW 2018 is currently in Beta, and it offers a brand new catalog browser feature as well. ON1 is incorporating a full RAW Processor, editor and effects app into the program. See more info about the program here. 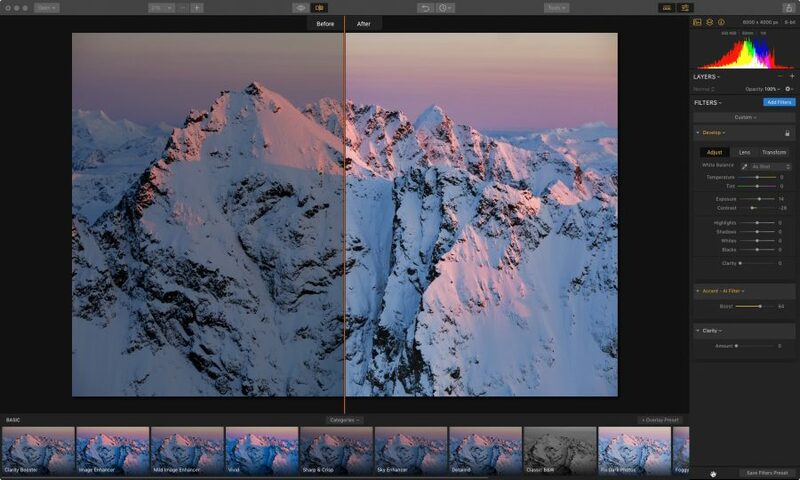 This week, software company Macphun introduced a brand new photo editing app for Mac, called Luminar. 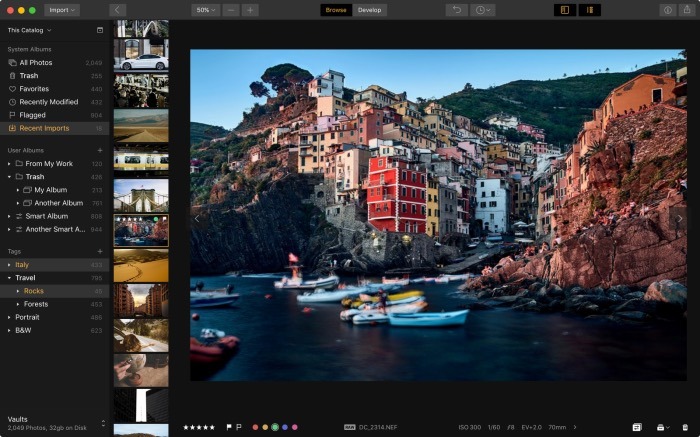 Built from the ground up, Luminar offers a powerful photo editing solution with a beautiful and very easy-to-use, totally customizable user interface. 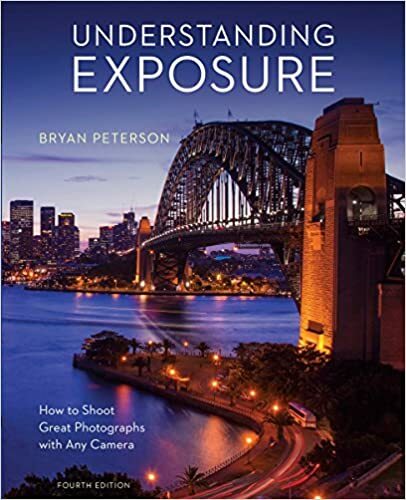 Luminar Holiday Sale – Get $319 worth of bonus photography eBooks and tutorials. However, the real strength of the program is that you can run Lunimar in whatever way you feel comfortable with; in whatever way matches your skills, or your timeframe. If you’re comfortable with making adjustments yourself, you can make use the vast array of sliders and adjustment tools. If not, or if you just want to streamline your workflow and save time, you can apply any number of creative filters and presets that are included in the program. You can also customize your workspace and have multiple saved workspaces for editing different types of photos. There are a few default workspaces (Landscape, Portrait, BW and Street), and you can create you own by selecting which tool panels you want included in each space. It’s so easy to navigate the interface, no matter if you’re making adjustments, zooming to 100%, selecting panels to show in your workspace, or saving/sharing/exporting photos. 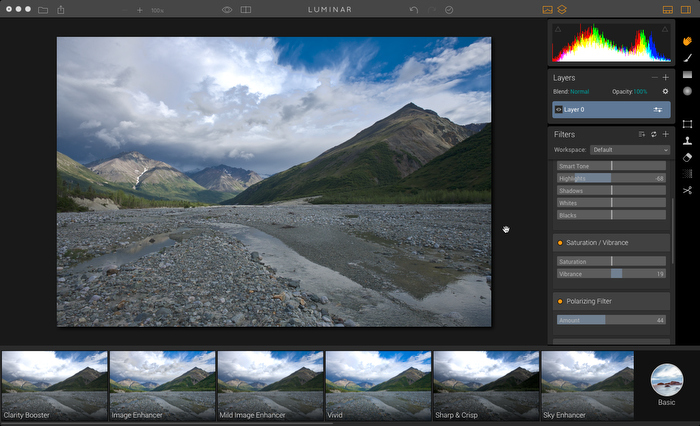 Luminar has an export button that lets you save your files or instantly share to a number of social media outlets. 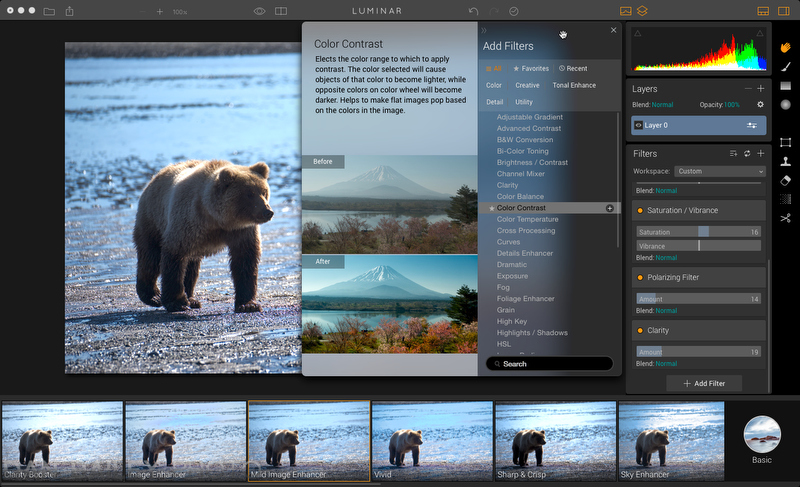 The reason Luminar is so efficient and user friendly is because the designers built it to take full advantage of the Macs graphics and OS capabilities. Luminar offers professional performance, including full RAW support for just about every camera on the market today, including the FUJIFILM X-T2 and X-Pro2. It actually does a good job with the Fuji X-Trans RAW files. Pretty cool, considering this program is brand new, right out of the box! Seriously, Luminar does everything that most people will need a photo editing program to do, and it does it all very well. I’m impressed with how full-featured it is and yet, how usable and friendly it is. Imagine Photoshop power with the simplicity of the regular Mac Photos app. Luminar is so un-intimdating and non-threatening, it’s everything that a photo editing app should be in this day and age. After all, it’s just a tool, and tools are the thing that stand between your vision and the final product. Your tools should offer you the most capabilities with the least amount of resistance. If they’re too complicated, you wont want to use them. If your tools are too simple, though, you won’t get the results you want. 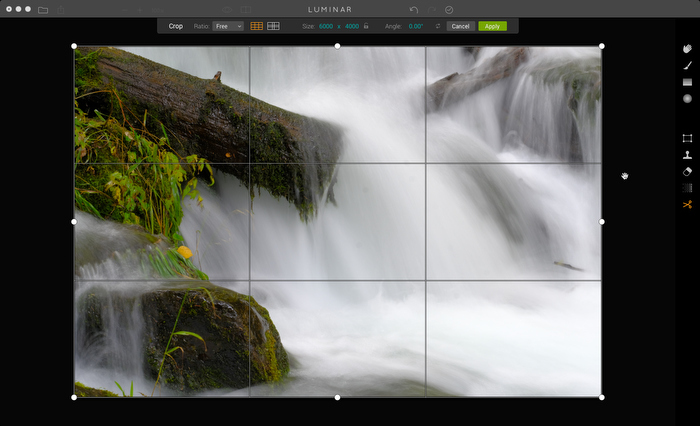 Luminar offers a visually appealing experience with enough power and creative control to get the job done. It doesn’t do everything that Photoshop does, for example, it doesn’t have a text panel or a Magic Wand tool, but it’s got most things you’ll need, and it does let you attach a watermark image to your photos. That’s a total must-have, right? That said, this is the first generation and the designers have said that they’ll be releasing regular updates to Luminar. For a rollout version, it’s already amazing, (that can’t be said for all apps) and it will only get better. My guess is they’ll closely monitor user feedback to help improve the product. Do We Really Need Another Photo Editing Program? I’m always on the lookout for alternatives to Lightroom and Photoshop, and Lunimar seems to have hit a real sweet spot in this realm. 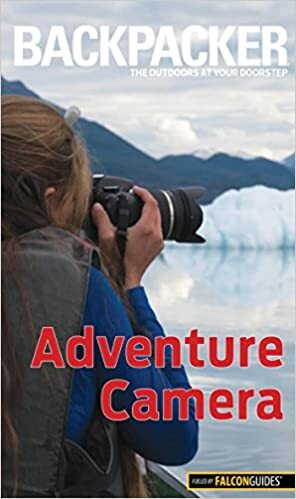 It lets you extend your photographic creativity into the digital darkroom without the steep learning curve that many photo editing programs have. As my own workflow continues to evolve, I’m attracted to simple solutions. I like that Lunimar fits this criteria. Its straightforward, yet powerful interface lets me quickly edit and tweak photos with ease and produce great looking finished image files. That’s what you want, right? I’ve only been using it for a short time, but so far, it’s proven its worth. Especially for how inexpensive the program is- Lunimar only costs $59. That’s a one time fee. No subscriptions. No endless payments to the big giant company forever. I’m pretty hesitant about recommending software, I don’t use any of the popular plugins or HDR, resize, BW and FX software that’s out there, again, I like to keep things simple, but I really like Luminar. 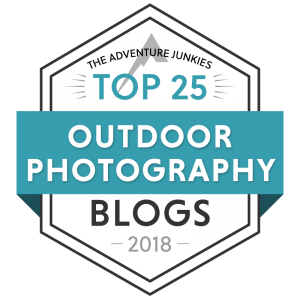 The company who makes it, Macphun has a great track record- their apps have won “Best of the Year” for 4 straight years, and they’re the only photography developer to have achieved this kind of recognition from Apple. If you’re looking to streamline your workflow with an easy-to-use photo editing program that’s lots of fun, and that doesn’t cost very much, I highly recommend taking a look at Luminar. You can download the free trial here. Here’s an example of how Luminar looks in action. Luminar for Mac: 3 examples from Macphun Software on Vimeo.